10 Feb 2017 --- Mead Johnson Nutrition Company has reached an agreement to be acquired by Reckitt Benckiser Group plc (RB), the world's leading consumer health and hygiene company. Under the agreement, shareholders will receive $90 in cash for each share of common stock, valuing the total equity at $16.6 billion. As a result of this transaction, Mead Johnson will become a new division of RB with its globally-recognized Enfamil and Nutramigen brands joining RB's portfolio of leading consumer health brands. The move by British consumer-goods company RB will allow it to push further into healthy products. Last week, RB confirmed that it is in US$16.7 billion discussions to takeover Mead Johnson Nutrition Company. It had previously been reported that Nestlé was also gearing up to bid for the US infant formula and vitamin maker. The terms represent a premium of 29% to the closing price of Mead Johnson of $69.50 on 1 February 2017, before speculation of a possible transaction, and 24% to Mead Johnson’s 30-day volume-weighted average price of $72.37 at the same date. Including Mead Johnson’s net debt of $1.2 billion as at 31 December 2016, the total enterprise value of the transaction is $17.9 billion, representing a multiple of 17.4x 2016 non-US GAAP EBITDA of $1.0 billion and 14.0x 2016 non-US GAAP EBITDA including expected run-rate cost savings of £200 million. Mead Johnson may continue to pay its normal quarterly dividend until completion, not to exceed $0.4125 per share, to be declared and paid on dates consistent with the 2016 quarterly dividend declaration and payment dates. The transaction is subject to shareholder and regulatory approvals. The boards of RB and Mead Johnson have both approved the transaction and have resolved to recommend that their respective shareholders vote in favor of the transaction. Click to EnlargeThe acquisition of Mead Johnson is aligned with RB’s well established strategic focus on growing in consumer health and on investing in Powerbrands with attractive growth prospects. RB already reaches millions of mothers through its hygiene education programs and, through world class brands such as Nurofen and Mucinex, provides parents with relief and reassurance when their children are unwell. This will be enhanced by Mead Johnson’s deep understanding of a new mother’s journey and well established relationships with healthcare professionals. Mead Johnson is a leader in the global infant and children’s nutrition category which is worth approximately $46 billion in annual sales. RB expects the category to grow at approximately 3-5% per annum in the medium to long term. Growth in the category is underpinned by demographic trends, particularly in developing markets, such as economic growth, urbanization, increasing spend on premium nutrition, special nutritional needs, a higher proportion of mothers choosing to work while their children are young, as well as changes to China’s one child policy. Brand, quality and innovation are increasingly important differentiators in the category. 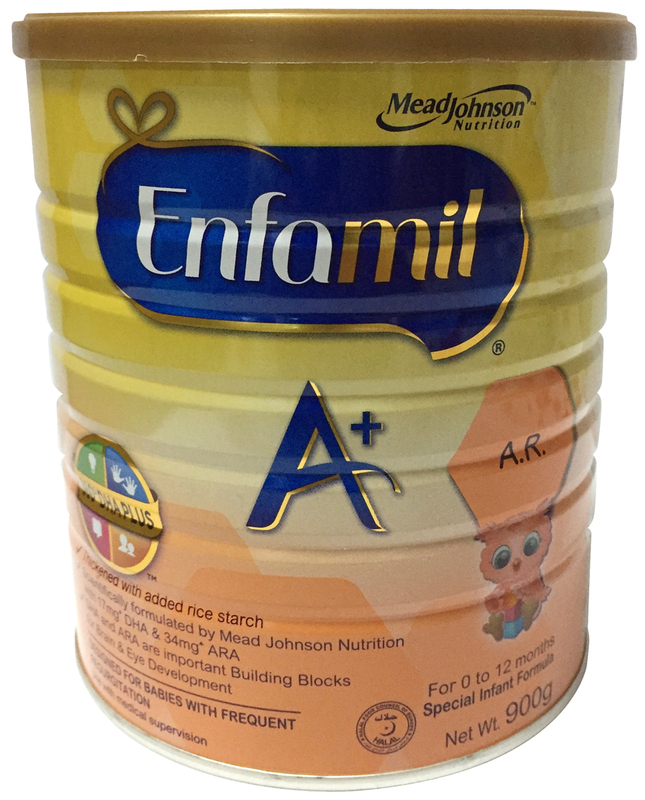 Mead Johnson – a global leader in infant and children’s nutrition The Enfa family of brands is the world’s leading infant and children’s nutrition franchise by sales. Mead Johnson brings a long-established scientific and R&D heritage and a strong reputation among healthcare professionals and consumers, creating a high level of trust in Mead Johnson and its family of brands. Mead Johnson’s portfolio is attractive in its simplicity and focus, with approximately 80% of 2015 net sales from the Enfa family of brands and approximately 65% of 2015 net sales in three markets; China, the United States and Mexico. Mead Johnson has a strong presence in Asia and Latin America, from where it derives 67% of its net sales. In 2015, Mead Johnson had net sales of $1.2 billion in China. Mead Johnson operated with an attractive gross margin of 64% and a non-US GAAP operating margin of 25% in 2016. 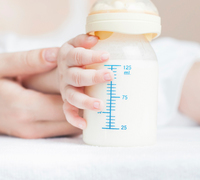 The combination will add significant value Mead Johnson’s infant and children’s nutrition business increases RB’s revenues in consumer health by approximately 90%, while its global Enfa franchise, which includes Enfamil, becomes RB’s largest Powerbrand. RB’s ambition is to bring together the best of both companies, keeping the consumer at the heart of the combined group. RB has extensive multi-channel go-to-market and global branding capabilities across consumer health and a track record of consumer-centric innovation. These capabilities, together with RB’s culture of swift decision-making and a commitment to driving performance, will enable RB to add value to the Mead Johnson business by enhancing its position in key markets. The acquisition of Mead Johnson complements RB’s geographic presence, increasing its developing markets scale by approximately 65%. Developing markets will account for approximately 40% of the combined group’s sales, with a critical mass in key geographies, notably China. RB’s retail scale and whitespace expertise will also enable accelerated entry into new markets for Mead Johnson. RB and Mead Johnson have complementary e-commerce expertise, particularly in China where approximately 30% of RB’s sales are online. Under the terms agreed, Mead Johnson shareholders will receive $90 in cash for each share of common stock, valuing the total equity at $16.6 billion. Including Mead Johnson’s net debt of $1.2 billion as at 31 December 2016, the total enterprise value of the transaction is $17.9 billion, representing a multiple of 17.4x 2016 non-US GAAP EBITDA of $1.0 billion and 14.0x 2016 non-US GAAP EBITDA including expected run-rate cost savings of £200 million. RB’s priority will be on the return of the Mead Johnson business to long term growth. Following an initial transitional period, RB’s goal is for it to perform progressively towards the upper end of the estimated category growth rates of 3-5% per annum. RB’s multigeography supply chain infrastructure and distribution network will enhance Mead Johnson’s go-to-market capabilities. RB’s scale and expertise will also enable accelerated market entry into nascent territories for Mead Johnson where RB has existing and deep understanding of the local consumer health dynamics. Further, RB expects to build upon Mead Johnson’s direct-to-consumer e-commerce platforms. The integration of RB’s and Mead Johnson’s businesses is expected to deliver cost savings of £200 million per annum by the end of the third full year following completion. These arise principally from removing duplication in back office functions and leveraging the enhanced scale of the combined business in the procurement of raw and packaging materials, advertising and promotional expenditure and other spend. One-off costs to achieve the savings are expected to be approximately £450 million. The acquisition is expected to be accretive to adjusted diluted earnings per share (“EPS”) in the first full year following completion and double-digit accretive by year 3. The acquisition is expected to deliver a post-tax return on invested capital in excess of RB’s cost of capital by year 5. RB intends to maintain its current dividend payout policy of about 50% of its adjusted net income. The acquisition will be financed through new fully underwritten debt facilities with Bank of America Merrill Lynch, Deutsche Bank and HSBC. These facilities include $9 billion of term loans over 3 to 5 years and $8 billion of bridge funding to cover the cash consideration plus a further $3 billion to refinance existing Mead Johnson bonds if required. They also include an additional £1 billion revolving credit facility to provide financing headroom from the date of completion. RB expects to refinance the bridge by the issuance of bonds to reflect the expected cash flows of the combined group. Additionally, the Board does not intend to buy-back any further RB shares until the debt level is materially lower. RB is in discussion with the rating agencies and expects to retain a strong investment grade credit rating. RB has a track record of effectively integrating consumer health companies as evidenced by the acquisitions of Boots Healthcare International, Adams and SSL. Each has delivered an important inflection point of growth for RB. RB’s approach to integration will be to draw on the best of both businesses. RB will establish an infant and children’s nutrition division which will report directly to the RB CEO. A select number of key RB employees will transfer into this new division. RB will balance the opportunity to realise cost savings from back office and procurement, with the need to retain and invest in valuable talent at Mead Johnson, especially within the R&D, quality, regulatory and specialist distribution capabilities. The objective will be to ensure the correct balance of RB’s leadership and FMCG talent alongside the skill and expertise that has helped establish Mead Johnson as a leader in infant and children’s nutrition. During the integration and thereafter, the combined group will focus on operational rigour, quality and compliance as the foundations of a successful business. Because of its size, the proposed acquisition constitutes a Class 1 transaction for RB under the UK Listing Rules and will therefore require the approval of RB’s shareholders. RB will in due course send a circular to its shareholders convening a meeting to approve the acquisition. The RB board is unanimous in its recommendation of the transaction. The acquisition is also subject to approval by shareholders of Mead Johnson, regulatory approvals (including in the US, China and other markets), and certain other customary conditions. The transaction is expected to be completed by the end of Q3 2017.